One of the best things about owning horses in Colorado is that you can go riding through rugged mountains and towering forests just about any time you want. 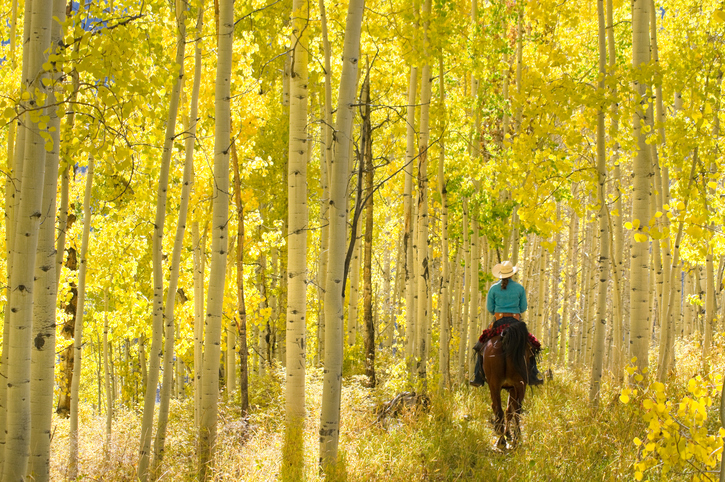 Here are some of the best horseback riding trails right here in our own backyard in Northern Colorado. Home to Colorado’s tallest trees, the Never Summer Wilderness has earned its name – it can snow as early as July here and it has a tendency to catch rainfall and snow. Because of this, you can find bogs and ponds in the area, which are an uncommon sight in the dense forests and alpine tundra of Never Summer’s 17 summits. Follow the Baker Gulch trail which cuts through thick forest foliage and some bog areas until you reach the Parika Lake trail. As you travel down the trail, you’ll be greeted by Fairview Mountain and Parika Peak dominating the skyline, their rugged slopes mirrored in pristine Parika Lake. Snow melt produces enchanting wildflower-decked glades around the lake. Taking its name from the founder of Colorado’s first newspaper, Byers Peak is a striking and well-known sight in the region. The summit provides majestic views of the Vasquez Mountains, the Never Summer Range, Indian Peaks, Rocky Mountain National Park, Williams Fork Range, and the Gore Range. The Byer’s Peak Trail is 9.1 miles long and features 3,000 ft. worth of climbing and bouldering to get to the top. The first 2.1 miles are wide open dirt roads that taper into a lush pine forest. Once out of the timberline, you’ll find mountain goats milling about vibrant wildflowers that paint the alpine meadows in vivid hues near the summit. Since the park was established in 1915, horses have been an integral part of Rocky Mountain National Park, which boasts 260 miles of horse trails. With lush alpine vistas, the Colorado Rockies are home to the best horseback riding in the state. The park’s East Inlet Trail will bring you through a thick forest. Take in the sights of grazing elk, golden aspen, and over a hundred majestic peaks of the Rocky Mountains framing clear skies. At the end, you’ll find yourself at Adams Falls, a 55-foot waterfall crashing down a narrow rock gorge. You can get a sweeping view of the valley from the top. One of Colorado’s “Great Lakes,” Monarch Lake’s breathtaking crystalline waters are part of the Arapaho National Recreation Area. Here, anglers will find all manner of trout – brook trout, rainbow trout, cutthroat trout, brown trout – as well as Arctic graylings and suckers. The Monarch Lake Loop Trail circles the edge of Monarch Lake and its inlet then leads up into a marshy forest area where you’re likely to catch a glimpse of moose. The trail becomes more rugged and the mountain views are obstructed by the dense forest; however, the forest, with plentiful wildlife and towering trees, is beautiful in itself. A bridge connects Arapaho Pass Trail and High Lonesome Trail and ultimately leads to the eastern shore of the lake, giving a soothing view of those placid waters. In Colorado, every day can be a beautiful, rustic adventure. If you’re looking for land for sale in Northern Colorado, contact me, Claudia Hewell, at 970-672-6976 or email me at Claudia(at)HorsePropertyDeals(dotted)com. 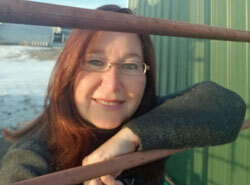 I’ll help you find horse properties for sale in Fort Collins, Loveland and other surrounding communities.